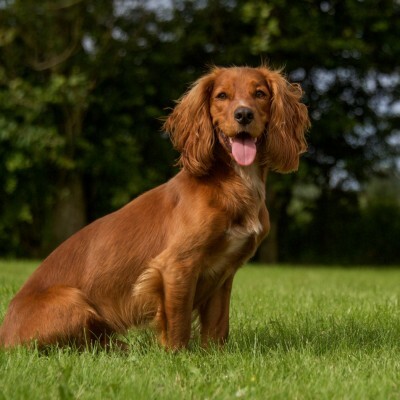 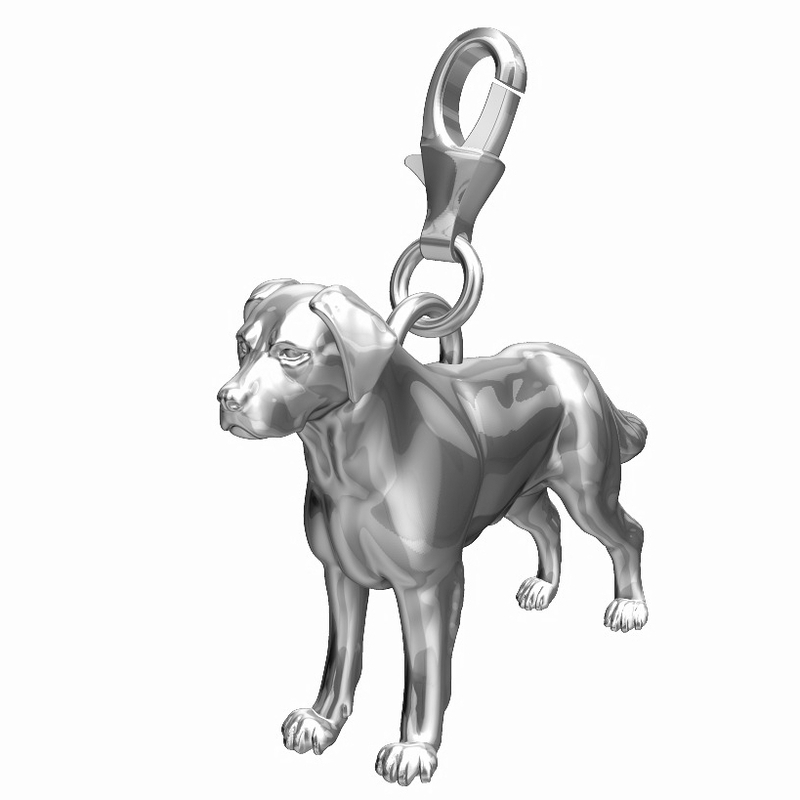 The Labrador, also Labrador Retriever , is a type of retriever-gun dog. 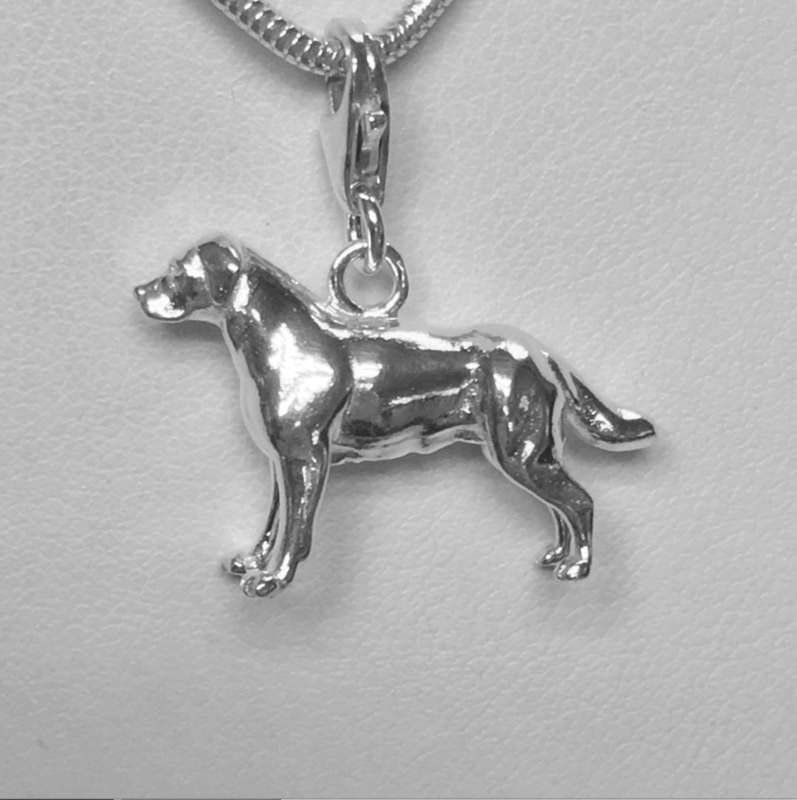 The Labrador is one of the most popular breeds of dog in the United Kingdom and the United States. 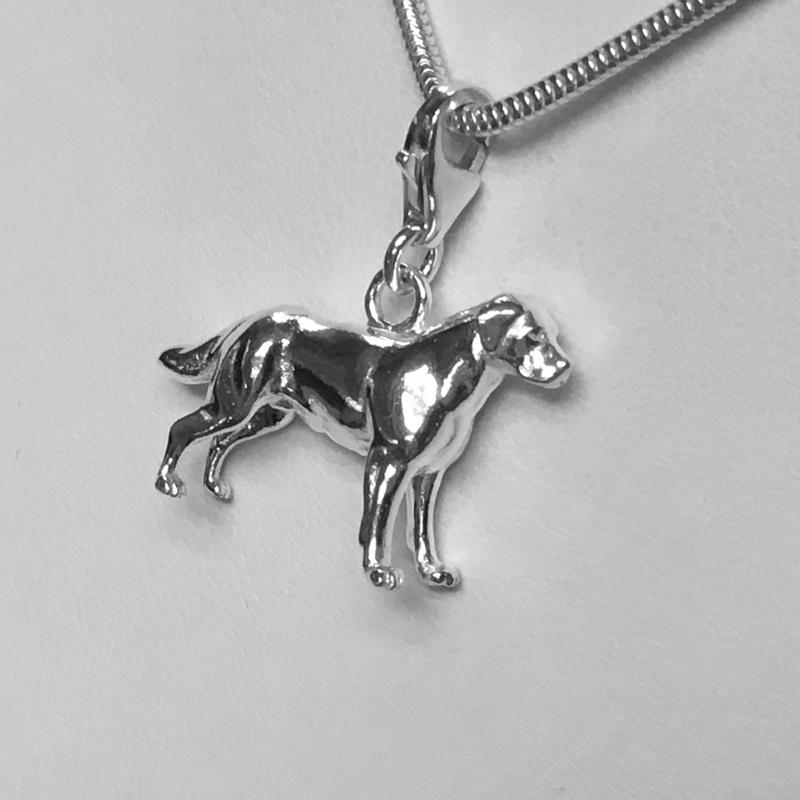 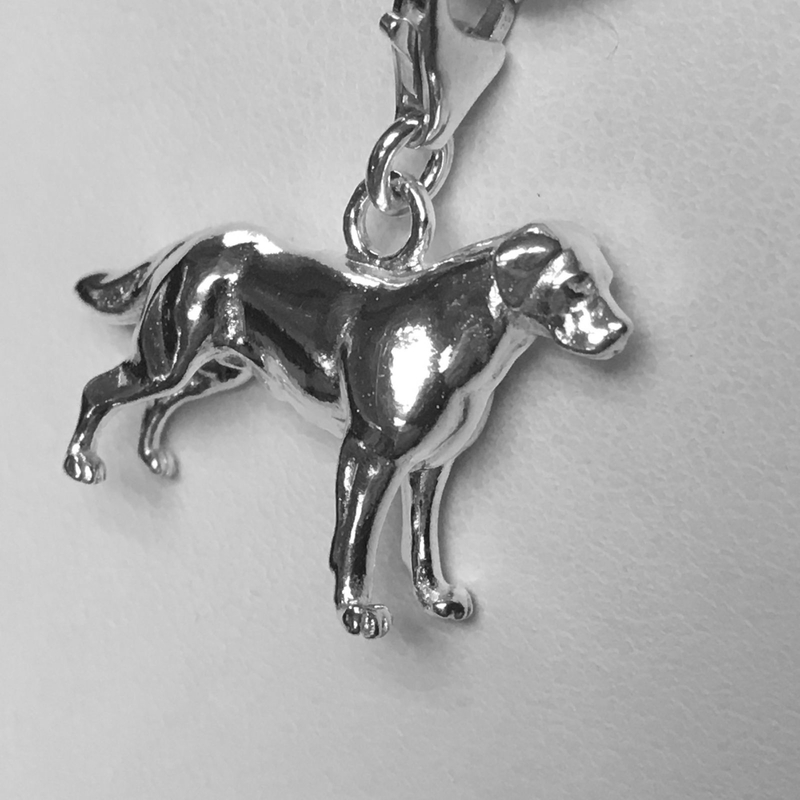 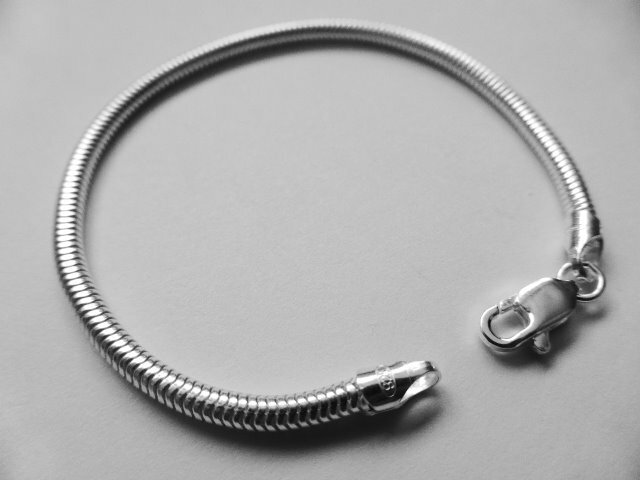 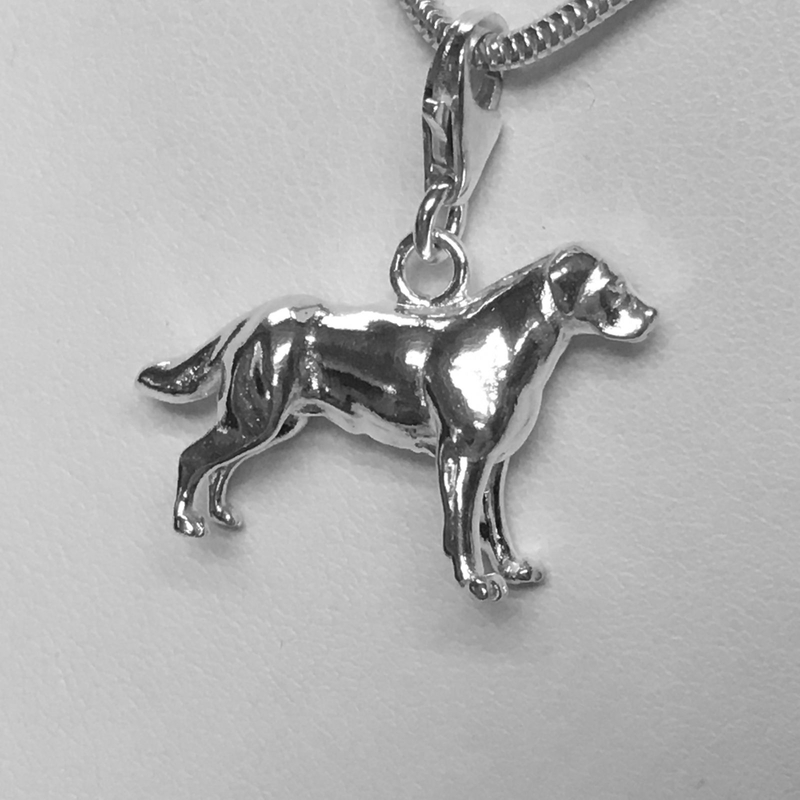 Our Labrador charm is made from the finest quality English 925 Sterling Silver and is a truly stunning reperesentation of this fabulous breed. 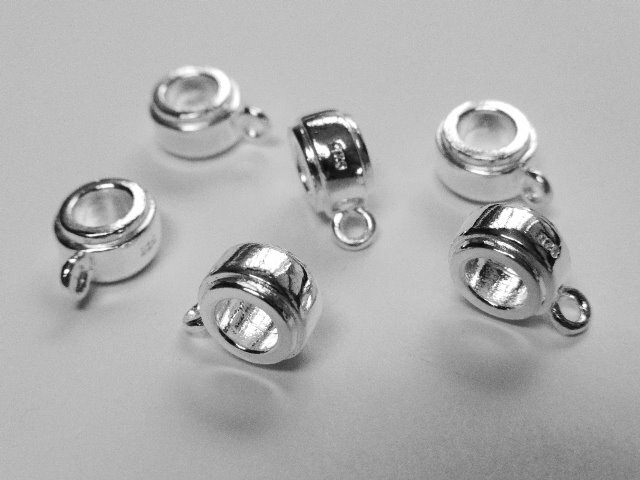 It is manufactured the UK, where expertly talented silversmilths finish and polish them by hand. 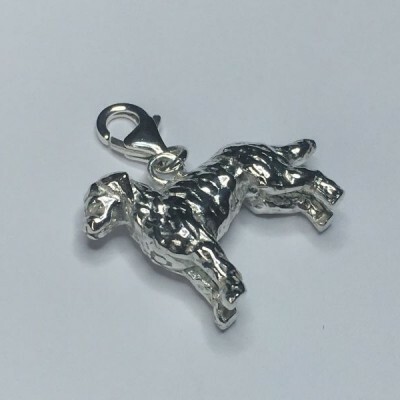 Like all of our pieces, this charm it is 3D not hollow or flat. 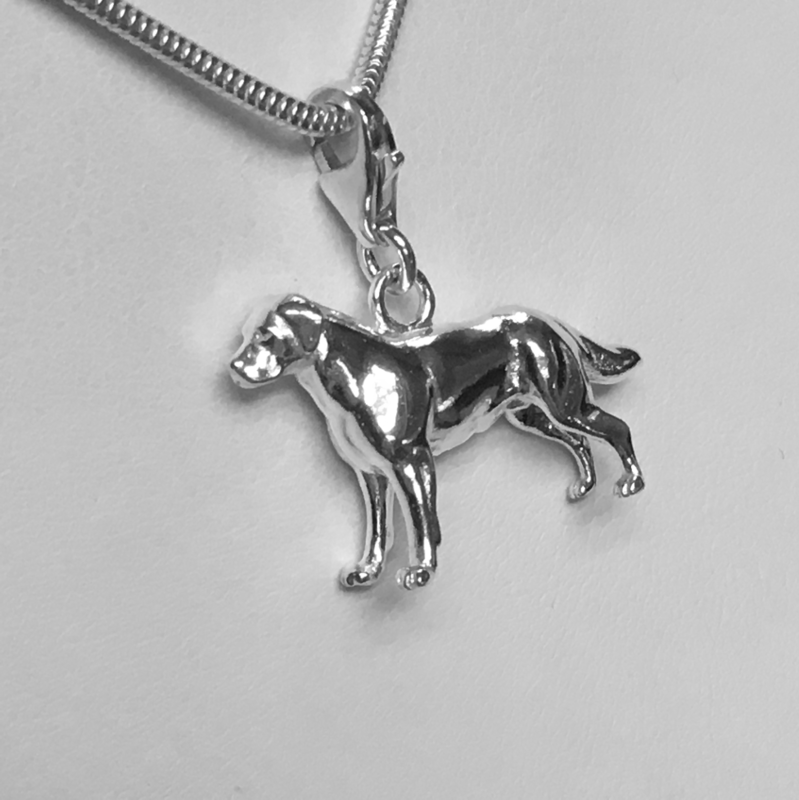 You can benefit from it being fully dimensional, as it allows you to see the every side of this beautiful breed..
We designed this charm from scratch using images of real Labrador pets that belong to our friends and we are sure you will love this exclusive piece. 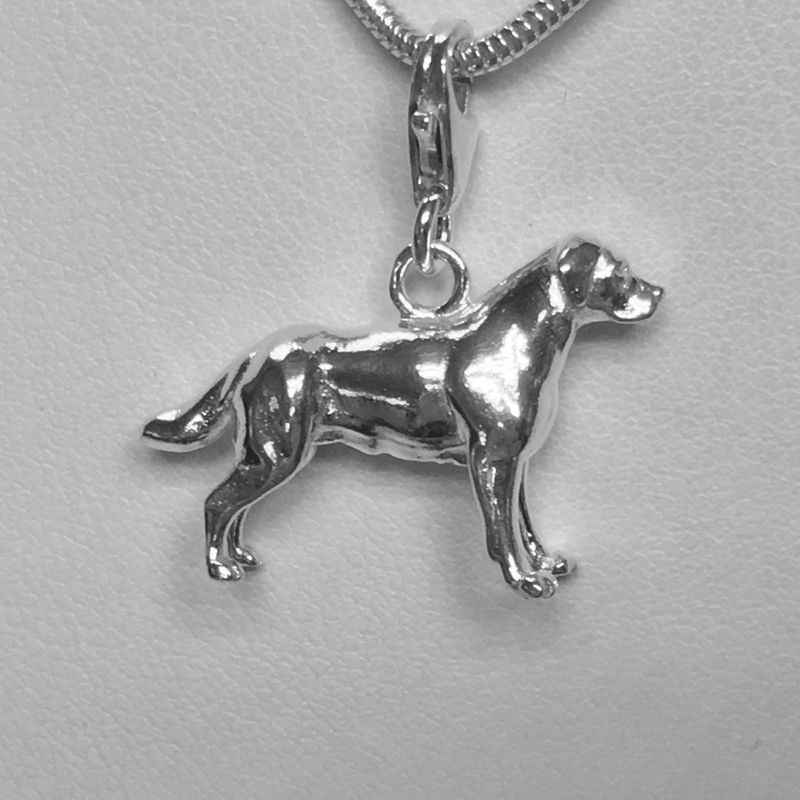 This is the ideal gift for a labrador owner, or as a treat for yourself. 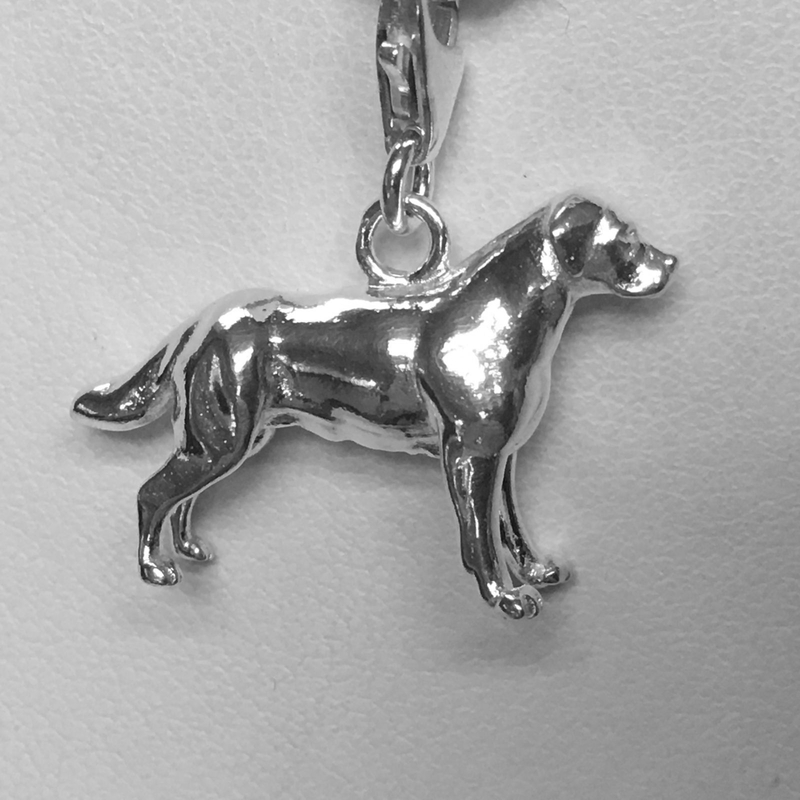 Wht not combine it with our beautiful paw print or bone charm bracelet.